From the millions of years we go on to the thousands, entering the archaeological section; this unfolds in a series of rooms dedicated to the Mesolithic period in the Val Fiorentina. A panel on the left wall introduces the topic by giving a general overview of the archaeological site (site n.1) at altitude Mondeval de Sora (2150 over above sea level). Some remains of huts, with a sequence of archaeological layers containing not only flint tools, but also food remains (bones) of hunted animals, and charcoal from home hearths were here documented. 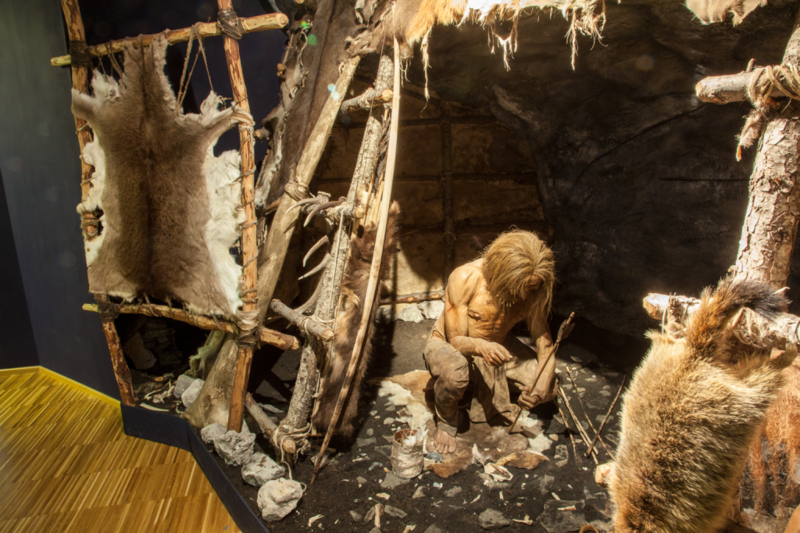 One of the two displays in the room illustrates some characteristics of the environment and the economy of subsistence practiced by man hunter-gatherers of the Mesolithic period. The second display on the opposite wall, shows three panels dedicated to the basin of Mondeval de Sora, to the seasonal nomadism in the Alpine region and to the lithic technology, as well as two models of details of the environment and a selection of refined flint tools. On the back wall an accurate diorama, with integrated audio support, reconstructs some aspects of the life and the activities carried out in a Mesolithic hut, built under a shelter, on the basis of data obtained from a scientific study of the site of Mondeval de Sora. Further along this archaeological path we find two rooms: the first hosts funerary objects found in the burial site of the Mesolithic hunter, who became famous as “The Man of Mondeval”. These findings are of rare beauty and enormous importance for their conservation, as well as for the quality and quantity (there is an accurate harpoon and a necklace of canine deer). The second room, at the end of the itinerary where the light fades, breaking into a starry sky (the constellation of Orion) hosts a breathtaking view of the original skeleton of “the Man of Mondeval”; preserved remarkably intact, supine, it is kept inside a glass case properly conditioned, reproducing the highest altitude burial site ever found in Europe. Here too, the visit is facilitated by a helpful audio support and special lights that enhance the funeral scene. At the end of the archaeological tour there is a video that traces the likely features of the Man of Mondeval, based on the characteristics of the skull. 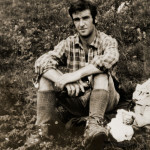 During a campaign of archaeological excavation to Mondeval de Sora, at 2.150 metres above sea level, which was promoted by Vittorino Cazzetta in 1987, a Mesolithic burial site was found. Under a shelter made out of a boulder, a hunter among the last representatives of the type Cro-Magnons who lived about 7,500 years ago was buried with all its rich belongings, just under the floor of a hut set up by Mesolithic hunters, believed to have been in the site from nearly 10,000 years ago. The perfect preservation of the skeleton and other organic findings is already an exceptional event, due to the high altitude where if was found when normally only flint is preserved. The comprehensive presentation and the remains of the meal gave answers to many questions about the Mesolithic hunters, of which up to forty years ago, their presence in these high mountains was still unknown. The skeleton is still subject of scientific studies aimed at a better understanding the way of life of these hunter-gatherers. 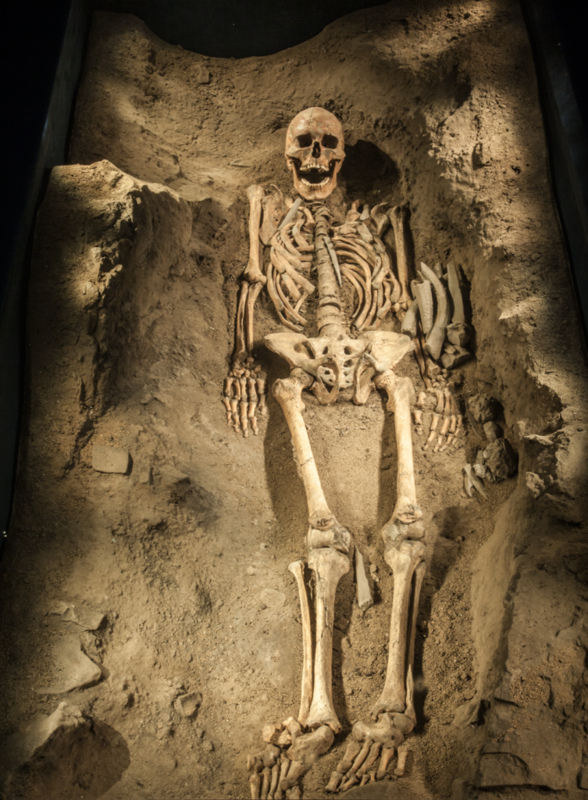 The next casual discoveries of the burial sites of Val Rosna and of the Mummy of the Similaun, have confirmed the presence and attendance, anything but sporadic, in the Alpine region by prehistoric men.